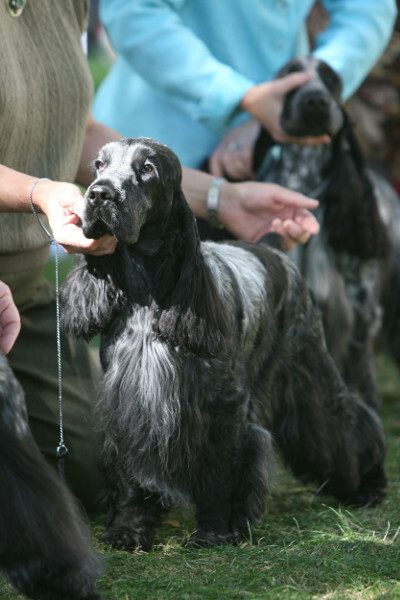 Usually held annually by the breed’s national parent club, the national is more than just a dog show; it’s where dedicated fans of the breed meet together year after year, sharing their knowledge and passion and bringing their best dogs to compete against excellent specimens of the breed from other parts of the country. In addition to the conformation classes, the national typically offers other events such as obedience, tracking, and agility, as well as breed-specific performance venues such as earthdog or field trials, herding tests and trials, lure coursing, or draft tests. 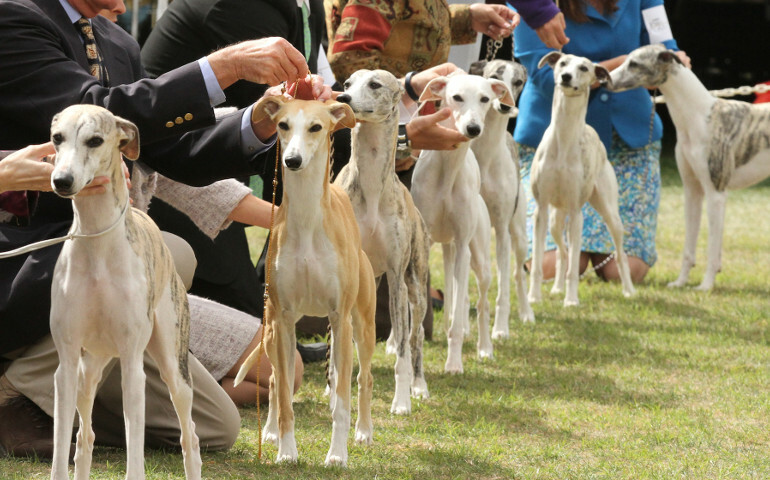 As with any dog show, the point of the conformation classes is determination of the best breeding stock to continue the breed — and this point is taken nowhere more seriously than at the national. The national offers a look at the state of the breed and where it’s going. A class win at the national can be a high point of a dog person’s year, and a Best of Breed or Best in Sweepstakes win can be the crowning glory of a long history in the breed. But the beauty of the national goes beyond the glory of winning, whether hoped-for or achieved. To a dedicated fan of the breed, nothing matches the experience of seeing a ringful of those dogs that are so pleasing to your eye, wonderfully presented at their best and gathered together in a number that you don’t see anywhere else during the year. If you love that breed, it’s positively heart-stirring. The national is the best place in the world to spend time with others who share your interest. There is no better opportunity to learn from others about the breed, whether ringside or at the breakfast buffet where everyone meets bleary-eyed after walking and feeding dogs and before launching into grooming. Most parent clubs hold their national in different parts of the country from year to year. 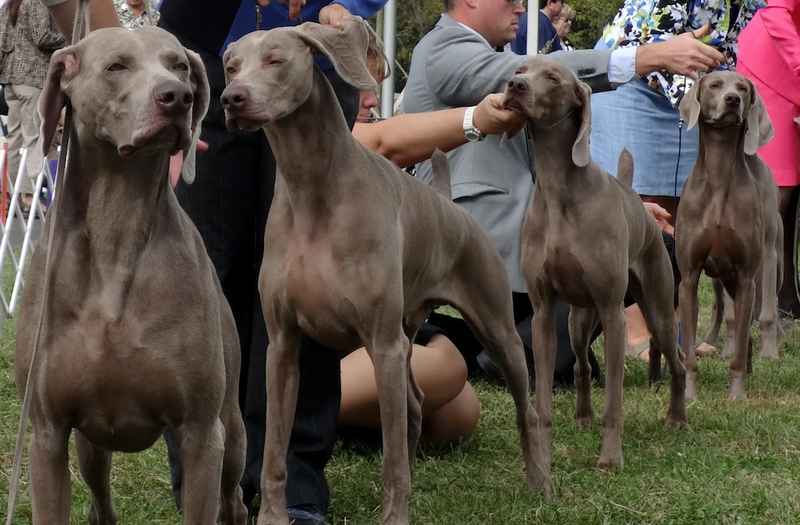 If you are seeking in-depth knowledge of a breed, look up the breed’s parent club and find out when and where the next national will be, and try to attend. Spring is a popular season for national specialties because of the generally pleasant weather. See below for a number of breeds having specialties coming up or recently past. Please visit club websites to confirm dates and locations. Below are some parent clubs that have held specialties in the past month. For photos or results, you can check out the club websites. Want to look up national-specialty info for a breed not listed here? You can search further for upcoming national and regional breed specialties. Enjoy this video from a recent Golden Retriever Club of America national, where a bagpiper plays while the many participants in the Best of Breed competition enter the ring. (Scotland is the breed’s homeland.) The Best of Breed class is the grand finale and highlight of every specialty, and this event had a wonderful air of celebration.